Today I took my 18 year-old daughter to the airport to begin her 3-week escapade in France. She will be working for two weeks on an organic farm in the south of France (through WWOOF) and then stay another week with our old friends in Paris. Besides the motherly advice I’ve been dispensing the last few days — to watch out for pickpockets on the Paris Metro and refrain from squeezing the peaches at street market fruit stands — I‘ve been briefing her on must-eats in my favorite food city: cassis sorbet, warm goat cheese salad and a crêpe from a sidewalk crêpe maker. Funny timing. 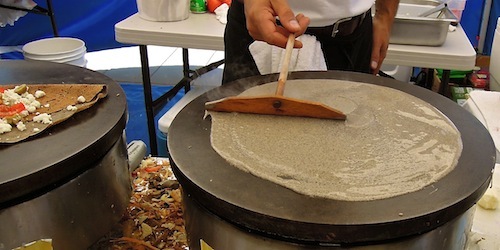 Just yesterday, I bumped into a French crêpe stand at Oakland’s Jack London Square farmer’s market which, I was thrilled to discover, makes authentic French buckwheat crêpes just like I fell in love with many years ago in Bretagne, the northwest corner of France. 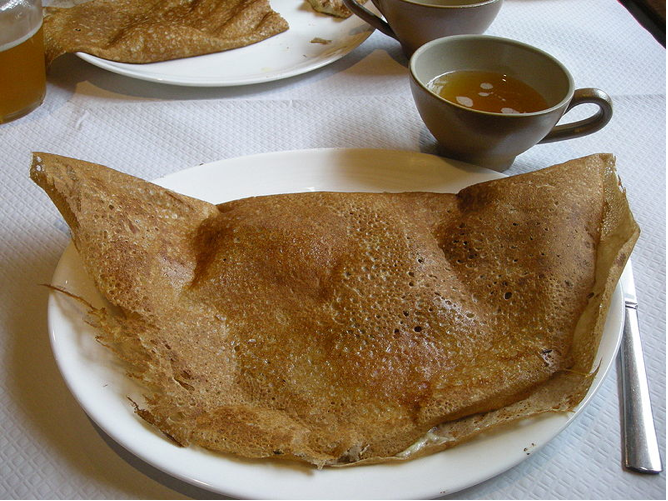 These dark brown, gluten-free savory crêpes are actually called galettes in French to distinguish them from the sweet thin crêpes made with wheat flour. For anyone with wheat or gluten sensitivity, buckwheat is a gift! It actually is not a grain at all, but related to rhubarb and sorrel. The flour comes from grinding the seed, which is similar to a sunflower seed. 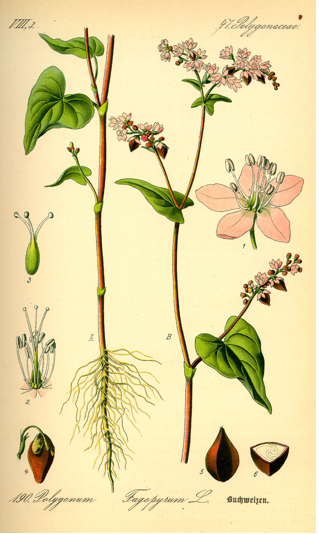 High in fiber and easily digested, healthy buckwheat contains the 8 essential amino acids. Its nutty taste is appreciated all over the world, in Russian blini, Polish kasha and Japanese soba noodles as well as traditional dishes in Tibet, India and Korea. Savory galettes are usually filled with some combination of egg, cheese, onions, tomatoes, spinach or ham and enjoyed with a mug of lightly alcoholic cider. At the stand in Oakland, La Crepe A Moi, I ordered a complet (with an egg, ham and cheese inside). I happily munched on it at a sunny table, remembering my glorious French sojourns and wishing my daughter a life filled with adventure. 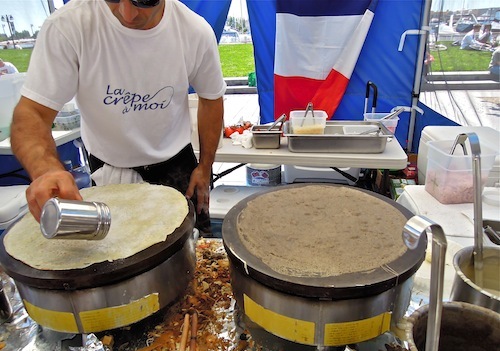 A website devoted to French crêpes, with history and recipes. 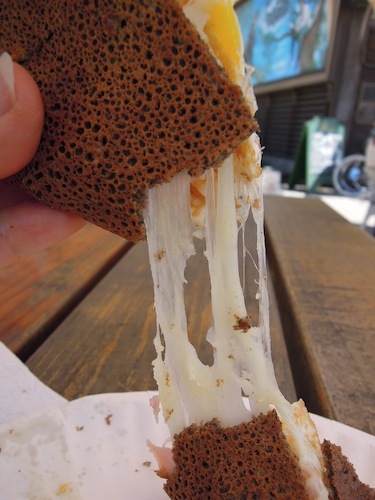 This entry was posted in France, gluten-free food and tagged buckwheat, Crepes, French buckwheat crepe, galettes, La crepe a moi. Bookmark the permalink. This article about galettes wonderful! I am so excited to try them. Thanks for finding such gluten-free gems in the community. Yum. All the best to your daughter as she embarks on her adventure. My pleasure, Tara. Got another g/f item coming up soon. Stay tuned.